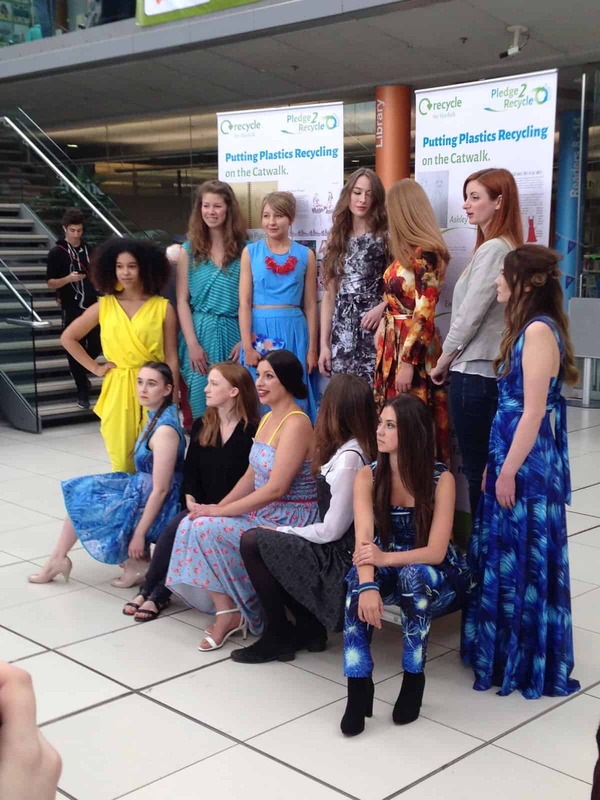 On Saturday 10th June 2018 I was lucky enough to be chosen to design a garment using recycled textiles for a fashion show demonstrating how recycled fabrics can be used. The fashion show saw 9 local designers display their amazing and unique creations on the catwalk. The event saw numerous other stalls and activities all with the health of our environment in mind. Now more than ever we must look at how we can help reduce our impact on the environment. Each designer was given a length of 6 metres of custom made fabric which was made from either fishing nets and carpets or plastic bottles. You truly couldn’t tell that it had once been rubbish it was really beautiful fabric! The fabric was of a heavy weight and stretched 4 ways. It also draped and moved so well. I was so excited to get to work on my garment after receiving the fabric! On the day of the show I met my model, the lovely Rosy. She absolutely rocked it! 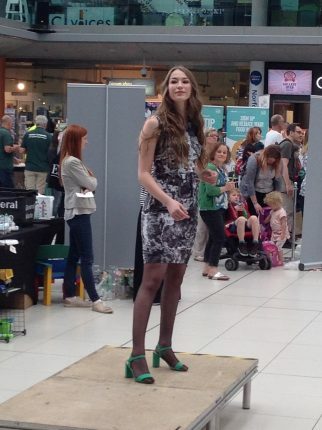 She’s a dancer too, you can like her Facebook page to see more about her. It was a great event to be a part of, I hope it has inspired more people to be eco-friendly and to realise the potential recycling has. I have to thank my business mentor from the Princes Trust who messaged me with the link to enter this competition!